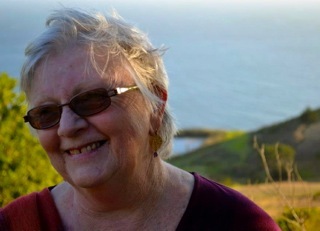 The author of two books of poetry, Must Be Present to Win (Ghost Road Press, 2005) and A Communion of Saints (Tinfish Press, 2008), Meg Withers lives and teaches wherever the world may find her, but is currently in Merced, CA . 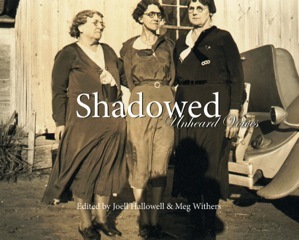 With Joell Hallowell (interviewed on WordMothers yesterday), she recently co-edited the poetry/photography book, Shadowed: Unheard Voices, an anthology of 34 women poets responding to old photographs of anonymous women from the early 20th Century. I began writing poetry at the age of about 8 or 9 in order to have a voice in what I already knew was a world which did not readily listen to children or women. I have written and been published a lot since then, in an attempt to find a place for my thoughts which would not be immediately dismissed by a passive-aggressive set of folks who didn’t want more than they had, and whose life held little attraction for me. My grandmother always called me a vagabond. It’s true. The other part of this is that I can write anywhere. While we were in an MFA seminar together, Joell Hallowell and I discovered that we shared an interest in writing in response to old family photographs. We first talked about creating a poetry/photo book together, just the two of us, but soon found ourselves searching out more voices. We eventually invited 32 additional poets to write in response to a collection of 75 old photographs of women from the late 1800s to 1950. 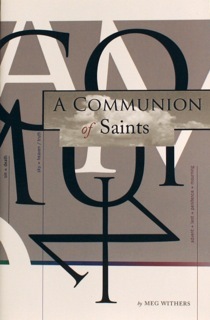 The result of that process is a gorgeous book filled with over 150 poems. It’s a book about women and the photographs they leave behind. It’s about our truest memories and the memories we make up. It offers a new dimension from which to view the women in these photographs—new stories, new identities, new victories—another perspective from which to understand our own aunts and mothers and grandmothers. I live with a cat, The Fuzzerman, who helps keep the quiet space I work in fuzzy, and then there’s the school I work at: noisy, funny, tragic, drama-filled, but filled with inspirations to repair the world through education. It’s quite a necessary contrast for me, as I like being alone, but I cannot do what I love by myself. I wander around the house in the morning, which is when the “editor” in my head is still sleeping. Sometimes I write, and sometimes I don’t. I don’t mess with myself much. Then, after noon, I go teach at the college and let the editor (above) have at it. I have a bunch of great colleagues at work who regularly come over and tell stories of the day, and have a glass of something and relax. As I mentioned above, I sometimes write, and sometimes don’t. I have enough of a regular schedule which I must attend to. But, writing does happen, even when I have to pull over to the side of the road to quickly text myself a poem (thanks to my creative writing students for showing me that everything jotted down in haste does not have to be on cocktail napkins, or the only tissues I have left in the car for when allergy season begins). I grew up in a town and culture which did not value children’s or women’s voices, so I first wrote to save what I now know was my sanity. I have come to believe that we are all born creative, and that what has happened to most of us is the world attempts to shut that down—perhaps not consciously so, but in a million damaging little ways and words each day. My job is to wake that creativity back up and shake it and make it a prime imperative for living. It’s the most fun I’ve ever had. Waking up and whatever follows that. My cats. 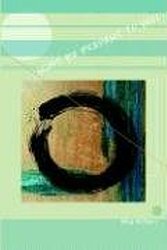 Language that’s moved out of its usual patterns to make new ways of looking at thought. The etymology of words. The connectedness of everything; when we’re willing to admit that separation from one another and every living thing is a false construct and damaging to us all. Finding time for everything I want to do. Getting old and having to spend too much time with physicians (although I love my docs) instead of traipsing around the world. 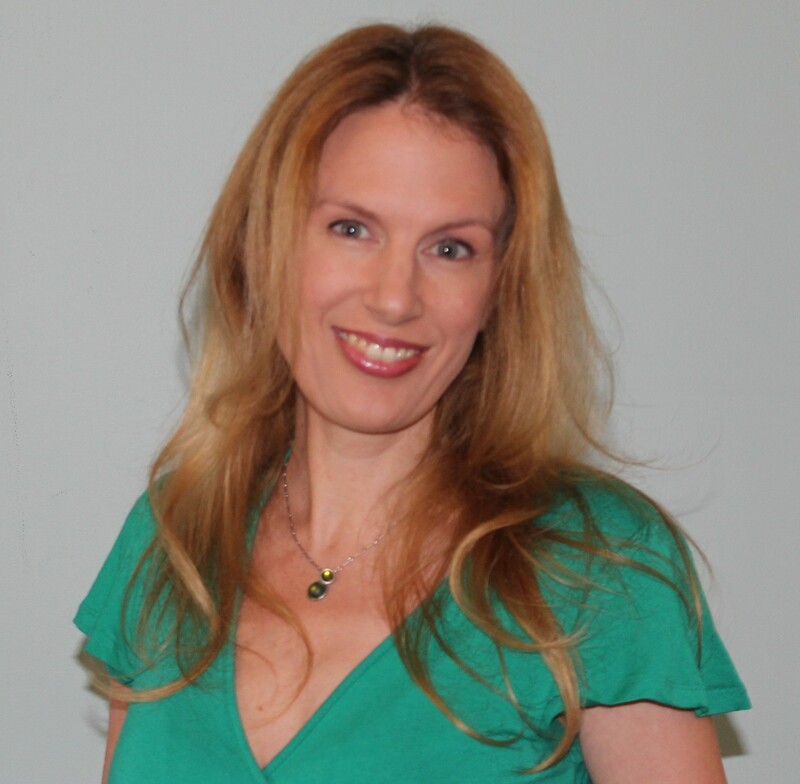 The current publishing world is skewed so that we often never hear valuable voices. I’m not sure there’s a cure for that, but I hope this changes. I have always written because I felt that it was the only way for me to continue in the world as it is. Whenever someone asks me how much money I might make when my work is published, I am discombobulated and for once, at a loss for more than laughter. I write because I am. This sort of question always stumps me because there are so many fine women’s voices in existence, much less those who died without the fanfare usually associated with the deaths of publicly acclaimed male literary figures. I love the voices of women of color, with all their dialects, honesty, and personal observations which are quite different from those of us who grew up in a pretty white world. Chimamanda Ngozi Adichie, Jumpa Lahiri, Zadie Smith, Maxine Hong Kingston, Sandra Cisneros, Margaret Rhee, Joy Harjo, Elmaz Abinader, all come immediately to mind. All authors whose voices hold the stories of their families and their worlds. Elmaz Abinader, Margaret Rhee, or Genny Lim. Genny is in Shadowed, by the way. Meg Withers is a great professor and an inspiration to my word art!